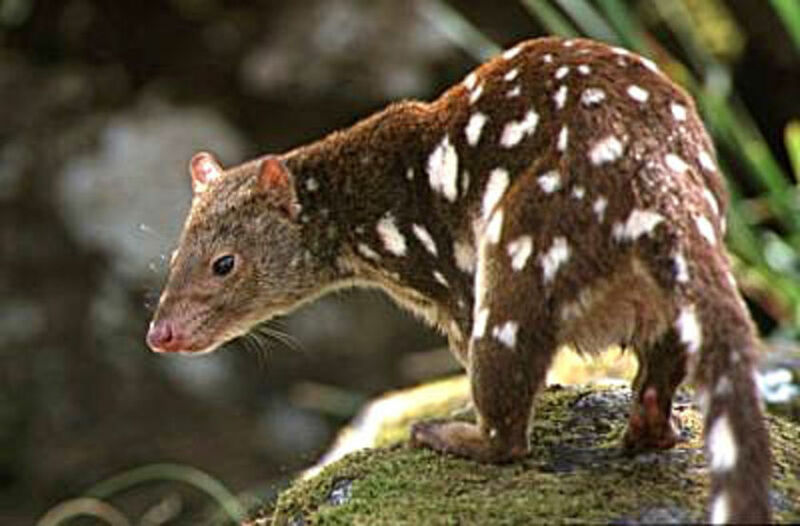 I never knew such animal existed until today I wanna move to Australia! Were going! I cant understand how people dont pinch them. I WANT ONE!!! Now you know why Madonna is going to tour Australia again. 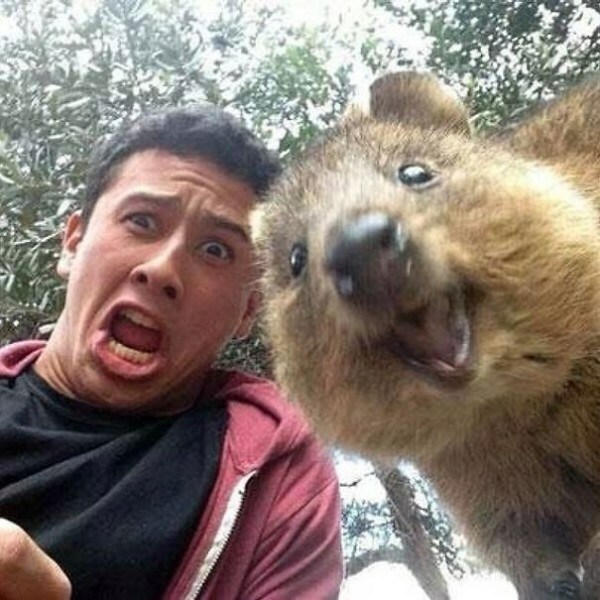 She wants a selfie with a Quokka ! 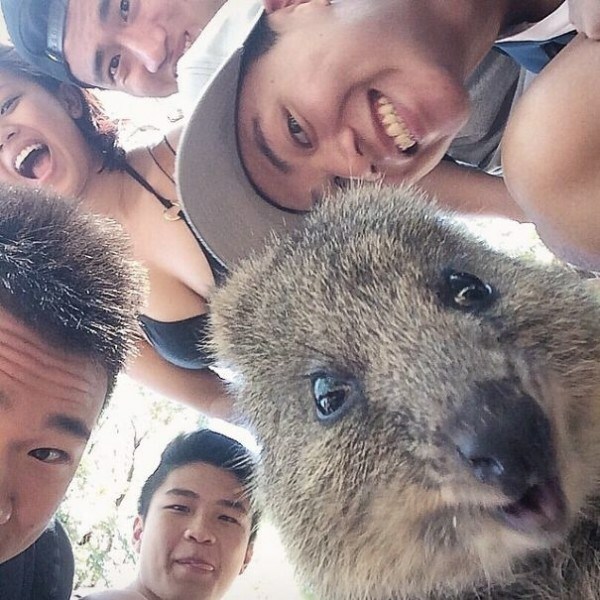 They are adorable - our marsupials are so cute. 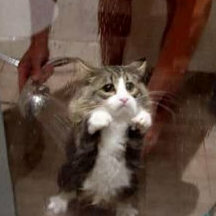 Barney, see you can come to Australia - more cute animals than nasty ones really. I told you, ill come when I can buy a space suit or one of those hamster ball things. You can just open my hatch and pop one of these and a koala in. Then ill roll off back to the airport. OMG I love them. Can I have one? Jan - can you send me one? 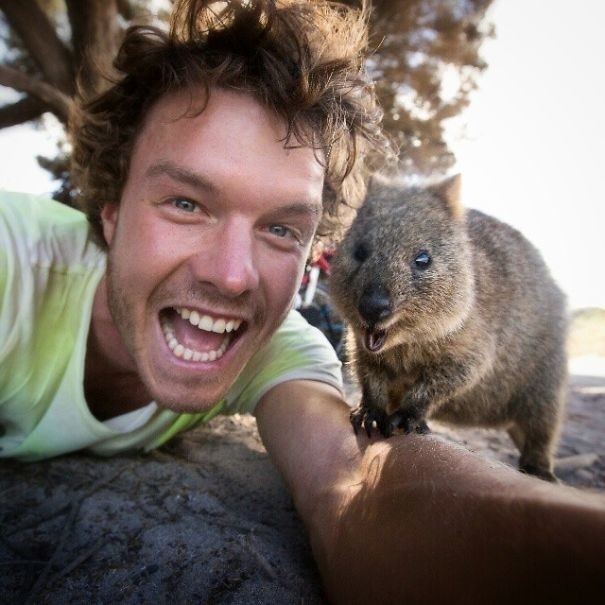 But don't you want a selfie with a Quokka in Australia ? I will take you to Healesville sanctuary. You will love it. 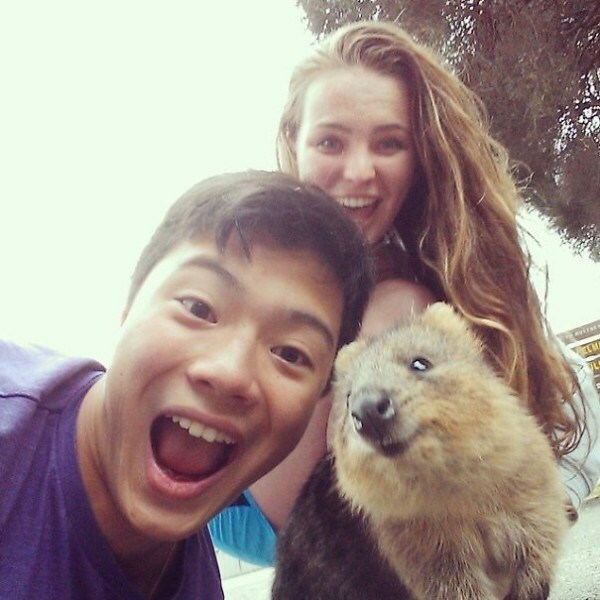 Kangaroos, koalas, wombats, emus - you will never want to leave. Do you want a koala as well ? omg they are soooooooooooooooo cute! Australia has so many animals and insects! 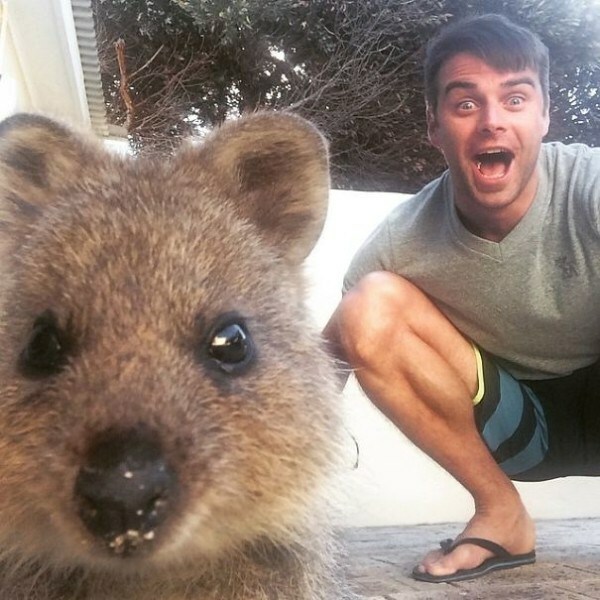 why have the aussies kept this cute lil thing a secret!?! Why do both animals have names beginning with Q? 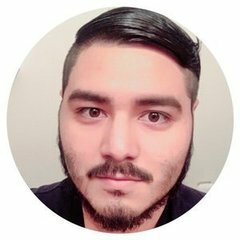 Are they aboriginal names? Is Thor taking over Rocket's role? Getting super hard here. I love Mr. Hemsworth, he's perfect imo, lol!